Create and personalize your eBay Store with a unique web address. Before you list an item, look for similar products that have been sold recently on eBay to help you select the most appropriate category, price or learn your item’s potential value. 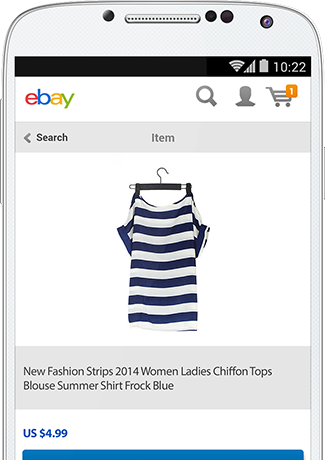 Review the eBay seller’s checklist and the tips for successful selling. The basic cost of selling an item is the insertion fee plus the final value fee, plus fees for any optional features and services. Learn more about how fees are calculated, the cost of listing and selling an item, and the eBay standard selling fees. PayPal verified account, and consider upgrading to a PayPal Premier or Business account so you can accept credit card payments from buyers.